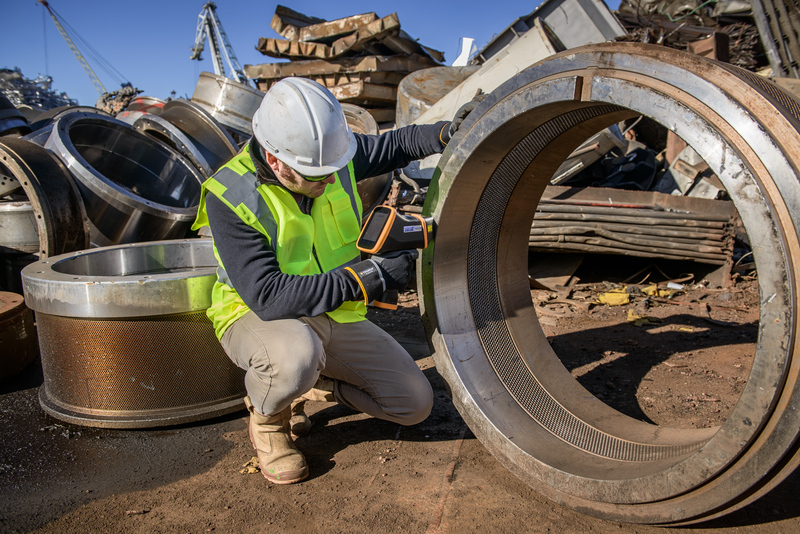 Vulcan is the fastest metals analyser for scrap metal sorting you’ll find today. 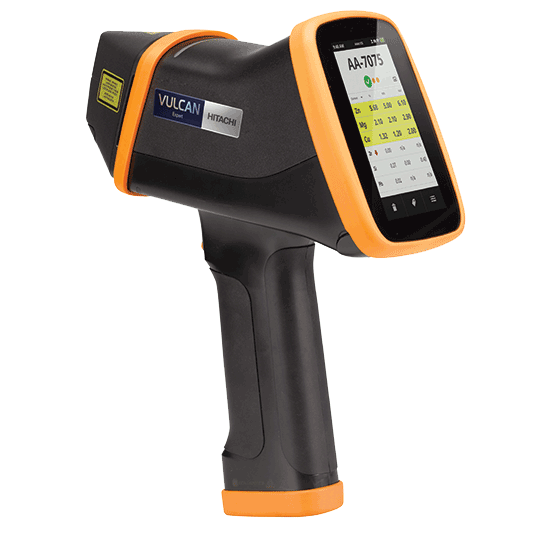 With the most advanced reporting tools on the market, Vulcan is a light, balanced handheld LIBS (Laser Induced Breakdown Spectroscopy) analyser which is easy to use and has the longest battery life in the business. Vulcan has been designed for the rapid identification of a wide range of alloys. Simply point and shoot and in one second you’ll know what metal is in that load. Manufactured by Hitachi High-Technologies Group Vulcan is available to UK scrap metal processing companies through us at McIntyre. On site demonstrations are available on request so that you test out this amazing new metals analyser in your own yard. Vulcan is the fastest metals analyser available, taking just one second to measure metal alloys – that’s faster than any XRF (X-ray fluorescence) analyser or any other laser product on the market. This means that large quantities of scrap metal can be sorted easily and fast. Vulcan offers high performance and guarantees very high accuracy and precision for its analysis results. As Vulcan is so simple to operate, possible user error has been significantly reduced if not almost completely eliminated, so the results obtained from analysis will be reliable and consistent. Vulcan uses the most advanced reporting tools on the market. Connection via Wi-Fi, to the LiveConnect cloud service allows secure storage of results and reports. Alternatively, data can be downloaded to a computer or laptop on a USB stick.